Congratulations to our clients Derick and Bobbie Doe on the Grand Opening of The Goddard School of Novi. The Hobbs+Black team enjoyed working on this welcoming and colorful preschool which includes nine classrooms and age specific outdoor play spaces where students can learn, grow, and play. WOW! What an amazing night of Friday night football “under the lights” for the first time at Lansing Catholic’s New Cougar Stadium. The game was not decided until the last play of the game with the Cougars coming out on top 35-28 in their inaugural game in the new stadium. It was truly a dream come true for many, many people last Friday night, especially for myself as a proud parent of one of the varsity football players who also was able to use my talents in the design and construction of the new football stadium and track facility. Good Luck tonight against Everett! And Go Cougars! RH Tampa opens at International Plaza! 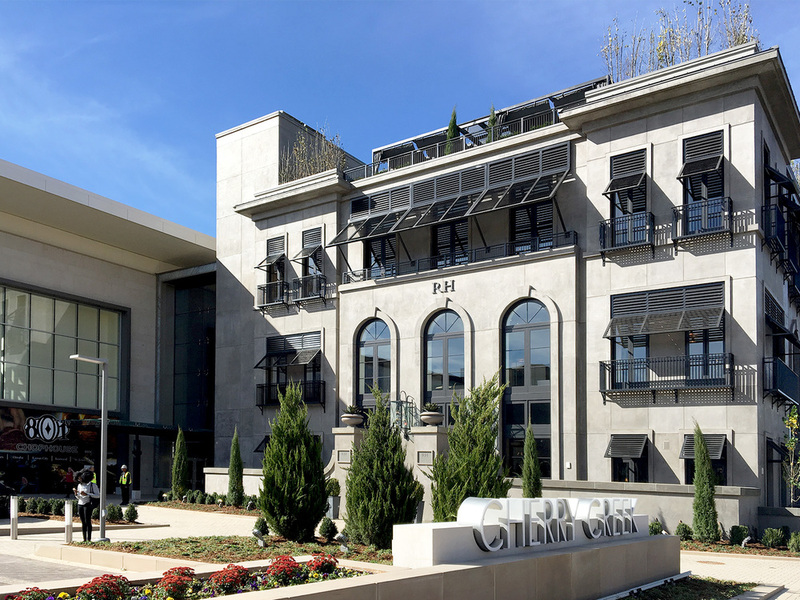 Hobbs+Black Architects is excited to announce the grand opening of ANOTHER new Restoration Hardware! This 4 story, 60,000 sf gallery opens its doors today in Tampa at the International Plaza, which is also a Hobbs+Black project. Please scroll thru the galleries below which include photos from last night's Grand Opening gala and a peek inside RH! We will be posting news items and videos on our social media as well. Beaumont Trenton celebrated the Grand Opening of the newly redesigned and expanded Karen Colina Wilson Smithbauer Breast Care Center with a Ribbon Cutting ceremony on Tuesday. This Hobbs+Black project includes new spaces for Mammography, Ultrasound, Stereotactic and Bone Density diagnostics. The project also included a new Cardiac Cath Lab department. Recognizing that heart disease and cancer are the two leading causes of death among women, the center brings a much needed expansion of women’s healthcare services closer to home for downriver residents at the Beaumont Southshore campus. Restoration Hardware opens at Cherry Creek in Denver! Hobbs+Black Architects is proud to announce the grand opening of the new RH Gallery at the Cherry Creek Shopping Center in Denver. The store is 58,000 square-feet and it takes a spot that’s been vacant since Saks closed in 2011. The grand opening is part of a much larger renovation of the Cherry Creek Shopping Center and marks the 25th Anniversary of the opening of the Shopping Center, which was also designed by Hobbs+Black. Please scroll thru the galleries below which include photos from the Grand Opening gala, the new RH Gallery and the Cherry Creek Shopping Center renovation. We will be posting news items and videos on our social media as well.